We just adore Spring — new buds on the trees, flowers starting to pop up from the ground… and Spring just smells wonderful, doesn’t it? We’re fulling embracing Spring in our house! 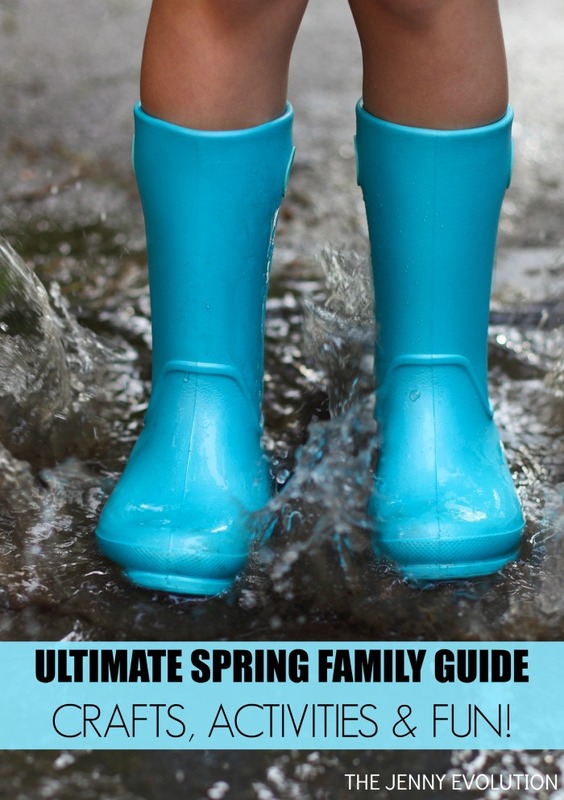 Welcome to my collection of Spring crafts, activities, decor and more for the entire family. Living in Chicagoland, there is nothing like the arrival of Spring after the long bitter winter or reading wonderful picture books about spring. What better way to start the season than with 10 picture books about gardens! We read Earth Day picture books throughout the entire year… not just during all of my kids’ Earth Day celebrations. One of our personal favorite Spring activities, that actually began as a way to help the earth, is having a tactile outside sensory activity with worms. Who doesn’t love gardening with kids? Gardening is such a natural way to get sensory input and learn about the world around us. DIY Spring Sensory Bottles are easy to make but allow for loads of sensory input. After being cooped up inside all winter long, your brain may have been hibernating as well and you’ve forgotten all of the easy ways you can get the family outside. Get outside with easy outdoor family activities! Let’s continue the fun with these wonderfully dirty, mud sensory activities. As a child, I remember making mud pies in the backyard. What is it about mud sensory play and getting up to your elbows in messy fun? Try these 25 colorful flower crafts for kids. In some of these activities you make your own flowers while in others you use actual flowers to create the project! Spring is in the air and I’m in the mood for a little Spring Sensory Play! Sensory play is always in season in our house. Here is an incredibly easy DIY Spring Wreath I made in a couple of hours that cost me less than $10 in materials. Spring is a time to try something new. Try my Spring Clothespin Wreath for a twist that’s fun and fresh. After this long winter many of us have been suffering through, it’s time for some spring colors, flowers and other symbols of Easter. I’ve scoured the net for imaginative, inspiring and unique Spring Easter wreath tutorials to spark your own creativity. As a mom of two kids with Sensory Processing Disorder, I’m offering some of the possible reasons your child may seem to be regressing or having a hard time with spring sensory issues. Follow The Jenny Evolution’s board The Jenny Evolution Blog on Pinterest.